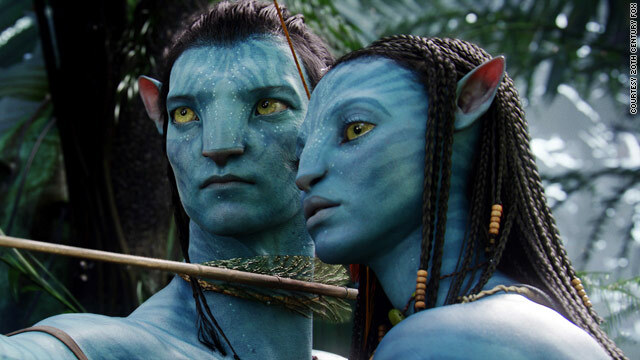 James Cameron's "Avatar" continues to lead the box office through a busy Christmas season. (Entertainment Weekly) -- Hollywood gave itself one heck of a Christmas present this year: the single best day in the history of the box office. The weekend's slate of movies racked up a record-setting $278 million overall haul, with James Cameron's "Avatar" ($75 million) leading the charge. The sci-fi epic dipped an incredibly slim two percent in its second weekend, bringing its 10-day domestic total to an impressive $212.3 million. Not that newcomer "Sherlock Holmes" (no. 2, $65.4 million) had a bad weekend, either. The action-adventure pic from director Guy Ritchie scored the best-ever Christmas weekend debut, adding another notch to star Robert Downey Jr.'s box office belt. The weekend's other new wide releases, the animated "Alvin and the Chipmunks: The Squeakquel" (no. 3, $50.2 million) and the Nancy Meyers rom-com "It's Complicated" (no. 4, $22.1 million) connected soundly with two very different demographics. While the Chipmunks got kids and families dancing into theaters, Complicated stars Meryl Streep, Alec Baldwin, and Steve Martin drew adults in the mood for a (tastefully) R-rated romp. Results were mixed for the two Oscar contenders that expanded into wider release this weekend. "Up in the Air" (no. 5, $11.8 million) flew straight to the top five by adding 1,720 new theaters, but the awards-bait musical "Nine" (no. 8, $5.5 million) only mustered a so-so $3,926 per-site average. Meanwhile, Terry Gilliam's "The Imaginarium of Doctor Parnassus" opened well at four sites, earning $130,000.